The Eden House is conveniently located near the head of Mt Desert Island in the Bar Harbor village of Town Hill (about 6 miles from downtown Bar Harbor). We are the property owner and you can still deal directly with us. In addition to easy access to all of the island towns (Bar Harbor, Mt Desert, Southwest Harbor and Tremont) it's an easy drive to Ellsworth and only 5 minutes to the Hancock County Airport. Also, the free Island Explorer Bus will stop at an intersection about 100 yards from the Eden House. The bus will take you (and your bike, dog, etc.) into Bar Harbor and from there you can connect to most areas of the island including Acadia National Park. You could actually spend the whole week here and never use your car!! The Eden House is owned and managed locally - we live right next door. You will not be dealing with a rental agent or absentee owner. Amenities: : TV (cable), VCR, DVD, high speed wireless internet, microwave, gas grill, all cooking utensils, washer & dryer, deck w/table & chairs, towels, linens, blankets, extra pillows, spacious front & back yards, garage. Activities:: Swimming, hiking, mountain climbing, kayaking, canoeing, whale watching, nature tours, sunset cruises, golf, glider rides, oceanariums, zoo, lumberjack show, go-carts, waterslide. We really enjoyed our stay at Gary and Betsy’s place! This was such a nice getaway. The house was clean, the beds were comfortable, and there was enough room for the 5 of us to find our own space. We started our morning with coffee on the deck and were able to get to Acadia park by way of charming countryside roads. The house is about 20 minutes from downtown bar harbour, and is situated on a quiet road. Gary and Betsy were very responsive to any request we had. Would recommend Eden House! Thanks Monette. We were very pleased to have you stay at The Eden House in Bar Harbor and we look forward to your next stay with us. P.S. - Don't rule out a fall visit - the leaves are just starting to change (just a little!) and the fall colors are always spectacular! Plenty of room for our family. The house is very conveniently located near the "top" of Mount Desert Island with easy access to all parts of Acadia. Knox Road has fairly lightly traveled, so no problems with traffic. Thanks John, and thanks for leaving the house clean and neat - we appreciate it when guests respect our home and treat it as their own. We hope you'll consider us next time you visit Acadia National Park. we stayed here for a week. the location is great for getting to and getting off the island. it is close to a local supermarket and 3 different "Lobster Pounds" where you can get some of the finest local seafood. the Islander shuttle runs right past the end of the driveway every half hour so you don't need to drive if you don't want to. the shuttle beats driving into town and hunting down a parking spot. the main entrance to the park is a short 10 minute drive and 20 minutes to the top of Cadillac Mountain where you get spectacular sunrises, sunsets, views of town and the ocean, and some amazing stargazing. The house itself was immaculate. It came complete with everything, including a large selection of herbs and spices for cooking, movies, DVDs and games for rainy days and a large map of the area to help you get around. Thanks very much for staying at our Eden House - hope to see you again for a future trip to Acadia National Park. 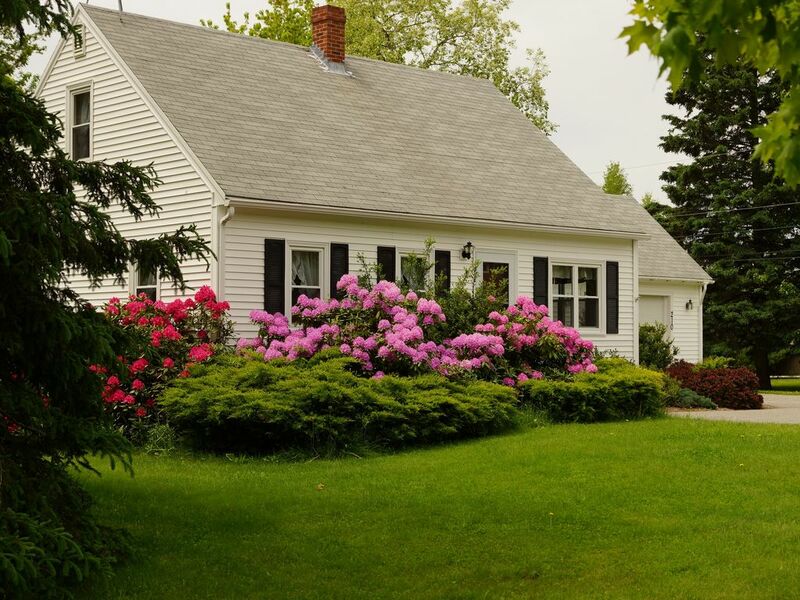 The Eden House is centrally located on Mt Desert Island providing easy access to Acadia National Park, Bar Harbor, all the towns on and off the island, numerous lakes & ponds and all the outer islands. CONTACT US FOR SAVINGS ON YOUR 2019 STAY! FULL WEEKS ONLY - SATURDAY TO SATURDAY $20/person per night in excess of 6 people $40 per dog surcharge Please contact us about cancellation policy - this site does not allow us to display correct policy.